In the not so distant past, well-being at work was primarily seen as a health and safety issue. Offices and office furniture were seen as places where you went to work and then once in the building, where you got work done! Sure, there might be occupational health who popped round to check that you were sitting correctly and had your computer mouse in the right position but that was about it. All of this seems a bit 1990s now, and for good reason. Firms have moved beyond the idea of mere bricks and mortar and fixtures and fittings when it comes to offices and instead embraced the idea that places of work should help to improve employees’ physical and psychological well-being. It’s a fundamental shift in mindset and really, it’s progress as we learn more and more about what we as humans need to thrive. It’s had a huge effect on the way we at Quantum2 design offices. As much as we know what we should be doing, not everyone does the right thing and that leads to injury, time off work and for the employer a potential drop in productivity. This article highlights a study that’s found that about 600,000 workplace injuries can be attributed to outdated or unsafe furniture! That’s a lot of sick days! Here are some common issues with office workstations that Personnel Today identified. •	stress and muscular tension. Ergonomic furniture is designed to support each individual’s body - to be comfortable and efficient. 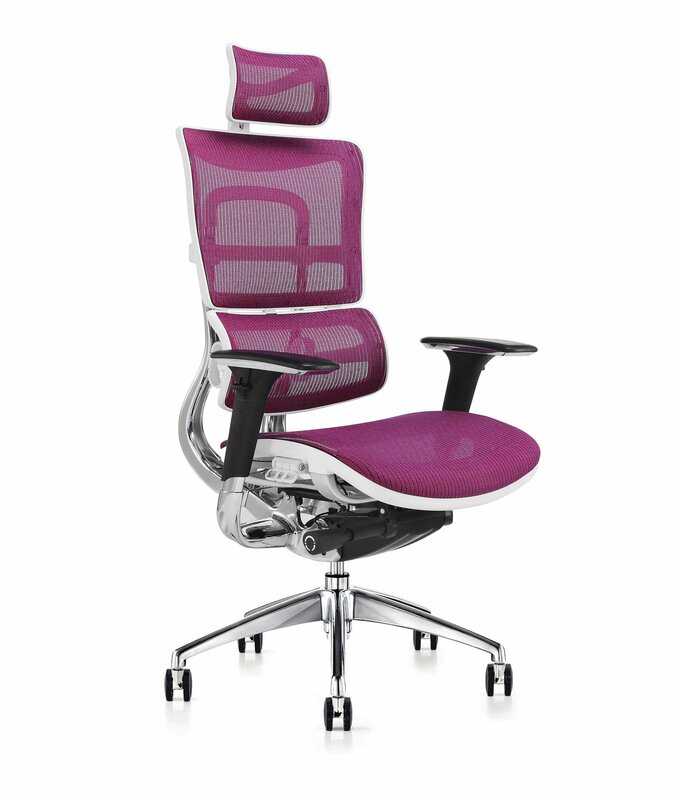 For example, ergonomic task chairs are designed to support the spine, neck and head to try to minimise work place injury. 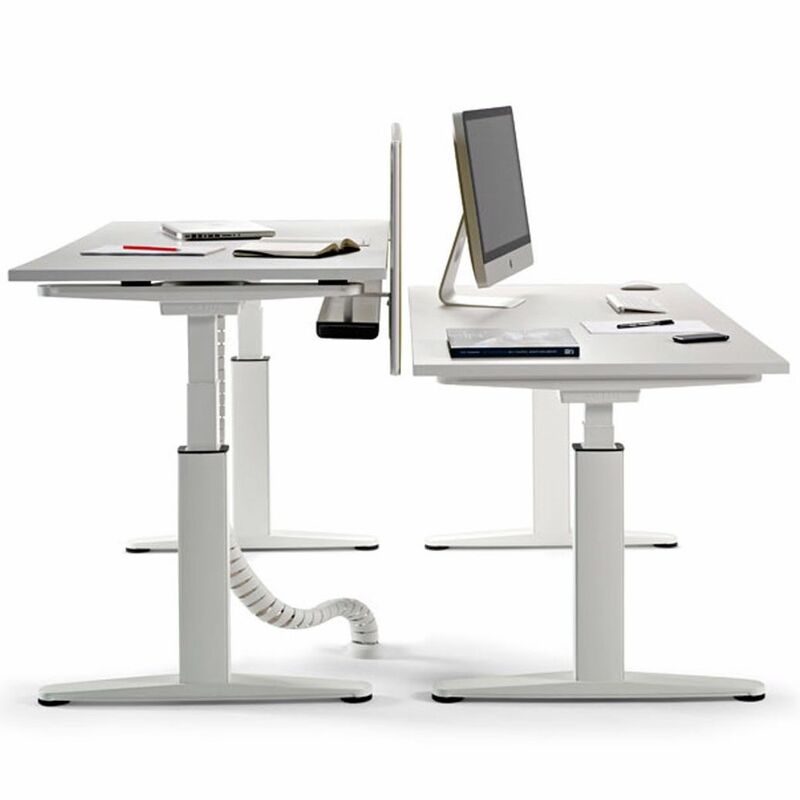 Sit-stand desks are ergonomic in that they allow workers to choose between working sitting down or standing up and to switch between the two is pretty simple. Team members with back conditions may benefit from these as they’re not in one position all day. Ergonomic simply means “relating to or designed for efficiency and comfort in the working environment” and we are seeing more and more companies apply this approach not only to furniture but to the office space as a whole. Increasingly, office designs are focused on improving the well-being of people in holistic ways. This can range from more tangible changes such as the provision of daylight and fresh air, to the subtle, less tangible improvements such as signs of a working culture that encourages movement, interaction and taking proper breaks. This issue has become so intertwined with workplace design, that it is now considered when designing green buildings. According to a World Green Building Council study, there is now “overwhelming evidence” for the ways in which office design significantly impacts the health, happiness, well-being and productivity of people. We understand that this all sounds great but it may seem like an overwhelming task, as if you need a complete refurbishment. We also appreciate that many businesses can’t change their office buildings, the shell if you like in which businesses are based. But you can change the configuration of office space and what makes up the office furniture. •	Natural light – make sure people can see outside easily, that there’s light coming in and if possible, maybe arrange a small meeting space here. People will be naturally attracted to that and it will encourage them to meet and collaborate. Make sure, however, that the natural sunlight (when we get any!) isn’t creating glare on people’s computer screens – this is definitely not ergonomic. •	Speak to your employees about how they are - no how they really are. Are they in pain at the end of the day? Suffering with a bit of a niggle? Headaches? The results of this may mean that you need to invest in some new office equipment, perhaps some new desks and chairs – this shouldn’t be seen as an annoying cost; this is you investing in your people and your business. •	Create a focus group of your employees with the aim of discovering what they want from their workplace – it might be that they want non-dairy milk supplied; it might be that they want a table tennis table for when they need to step away from the desk. By listening to their ideas you should be able to collaborate and compromise to find ways that suit everyone and your budget. Of course, it goes without saying that we visit lots of offices across the Wirral and Merseyside and we see the good, the bad and the ugly. We can see what works for people and what doesn’t so why not invite us for a no obligation visit, and we can give you some ideas. Work shouldn’t be somewhere that we pick up injuries. Start looking after your employees and they’ll start looking after you!